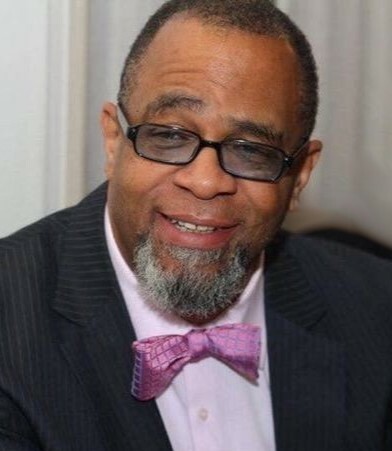 Obituary for Elder Maurice David Allen | Frank R. Bell Funeral Home, Inc.
Maurice David Allen was born on September 11, 1958 to two loving parents, Henry Clayton Allen and Janice Stubbs Allen, in Pittsburgh, Pennsylvania. In 1961, the family moved to Brooklyn, New York where he received his early education in the public school system. Maurice’s parents instilled in him, strong values of hard work and honesty at an early age. Maurice attended Kingsborough Community College and the State University of New York’s Old Westbury College where he received his Bachelor’s degree. In 1980, he joined the New York City Transit Authority as a station porter, but his work ethic and aptitude made way for him to quickly advance to the position of Motorman. After thirty-four years of dedicated service, he retired from Transit in 2014. In 1991, Maurice married Carolyn McCall, and in 2002, they became the proud parents of their only child Kai Joy Allen whom Maurice called “his gift from God”. He took great pride in his role as Dad, and when asked about the legacy he wanted to leave Kai, he would say he wanted her to develop her own personal relationship with God, and for her to know that she can do all things through Christ. Maurice was baptized at First Baptist Church of Crown Heights in 1986. He joined St. Paul Community Baptist Church under the distinguished leadership of Reverend Dr. Johnny Ray Youngblood in 2001. Upon relocating to South Jersey in 2005, Maurice joined the Lighthouse of Deliverance Gospel Church where he was a faithful and active member. In 2012, Maurice returned to his New York City roots, and once again found himself back under the tutelage of Dr. Youngblood, this time at the Mount Pisgah Baptist Church. He became a Deacon and a Trustee, and on November 1, 2016, was elevated to the status of Elder. He was also part of the Redeeming Ham Ministry (led by Elder George Grant), and was a Pranic Healer with the Noble Touch Healing Ministry (led by Jeffrey Noble). Most recently, he engaged in the sacred practice of blowing the shofar in the sanctuary (introduced by Elder David Miller). Maurice loved sports and was a die-hard Jets fan – be it from the television or at the stadium. He also loved cigars, bowling, playing cards, video games, basketball and softball. Reading and playing chess gave him the enjoyment of improving himself, and being a music lover brought joy to his soul, especially live music and jazz. Elder Allen’s favorite scripture was Psalm 116:12-14 “What shall I render to the Lord for all His benefits to me? I will lift up the cup of salvation and call on the name of the Lord; I will pay my vows to the Lord in the presence of His people.” Elder Allen’s prayer was for Mount Pisgah to become the cornerstone to resurrect people back to the position God initially intended for us. Some called him “Mo”, others “Reece”, but his most important moniker was “Child of God”. On Monday, February 4, 2019, the shofar sounded announcing Maurice Allen’s celestial entrance through the portals of God’s heavenly kingdom. Though predeceased by his father, Henry Allen, he leaves to cherish his impactful memory, his mother Janice Allen; one brother Todd Allen, Sr.; one nephew Todd Allen, Jr.; the love of his life and his only child Kai Joy Allen, and her mother Carolyn Allen; his NYC Transit colleagues; his fellow Mt. Pisgah Elders; his Mt. Pisgah Church family; his spiritual advisor and pastor, Rev. Dr. Johnny Ray Youngblood; and a host of nieces, nephews, aunts, uncles, cousins, other relatives and friends.